It's International Down's Syndrome Awareness day! 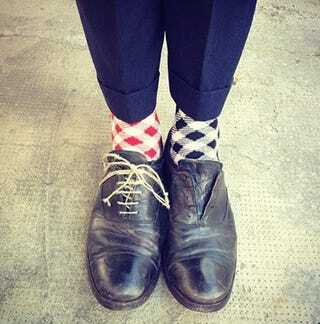 To raise awareness wear 2 different and colorful socks. I like this, it’s a very punk-rock way of paying tribute. Much better than pins or badges.